Humans ability to create art separates us from animals. It it believed that the desire and ability to create art separates us from robots too. 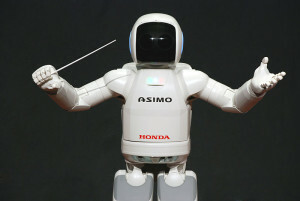 However, nowadays robotic musicians, story writers and other art-generating robots call this once unique ability into question. Read more on the topic here.